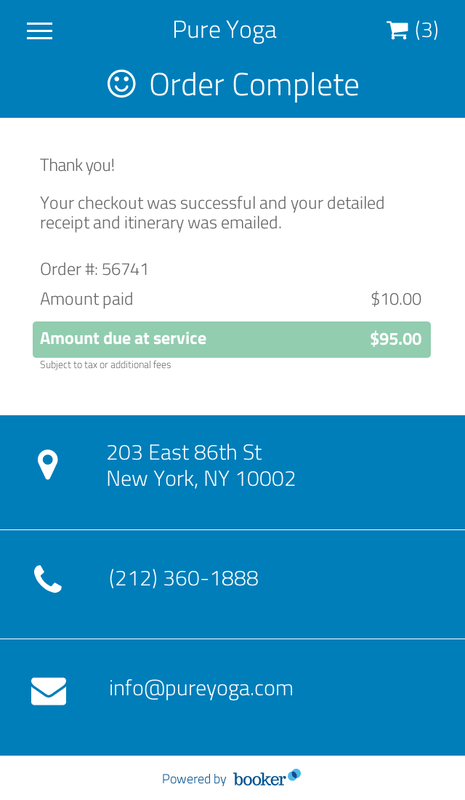 Booker is a leading SaaS platform based in Lower Manhattan which powers small business POS, reservations, appointments, marketing, and much more. As Director of User Experience I was tasked to create some wonderful experiences for customers. I love small business! It was a fantastic challenge because not only did we have to build product for our customers (which I will refer to as merchants: salons, yoga studios, etc.) but also their customers. When you subscribe to Booker, you go all in. 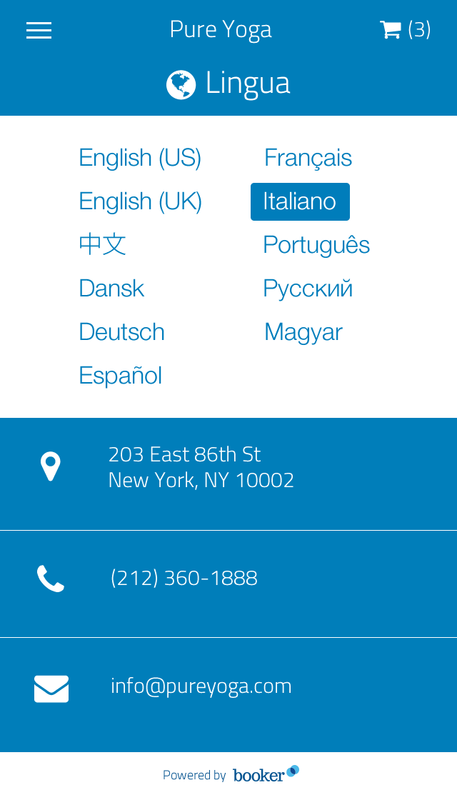 The platform your customers use is branded to your business, but its our platform. Merchants setup their hours, appointments, staff, etc (more on that later). 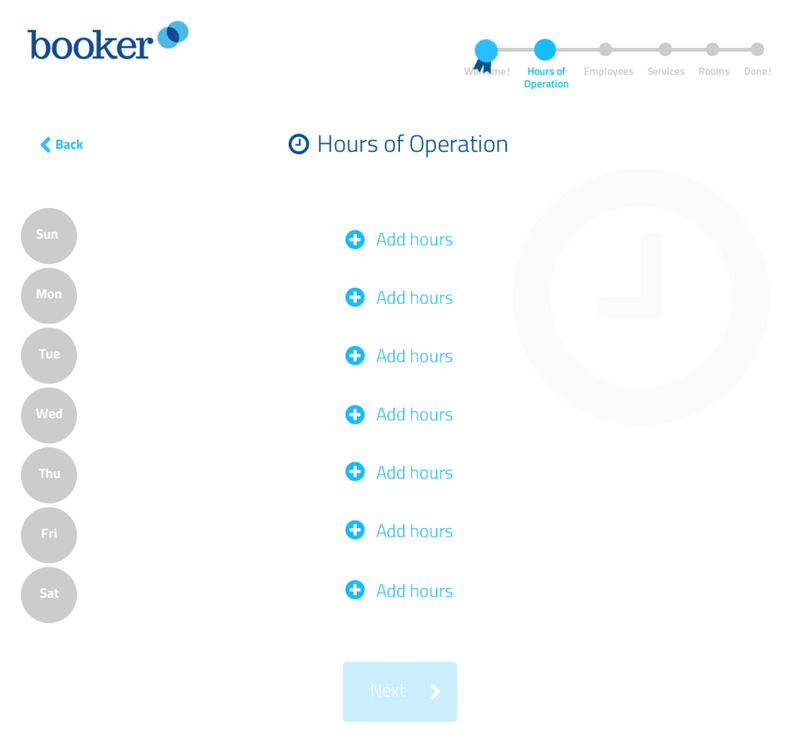 They change the colors, fonts, and upload assets to make the Booker platform look like their business. 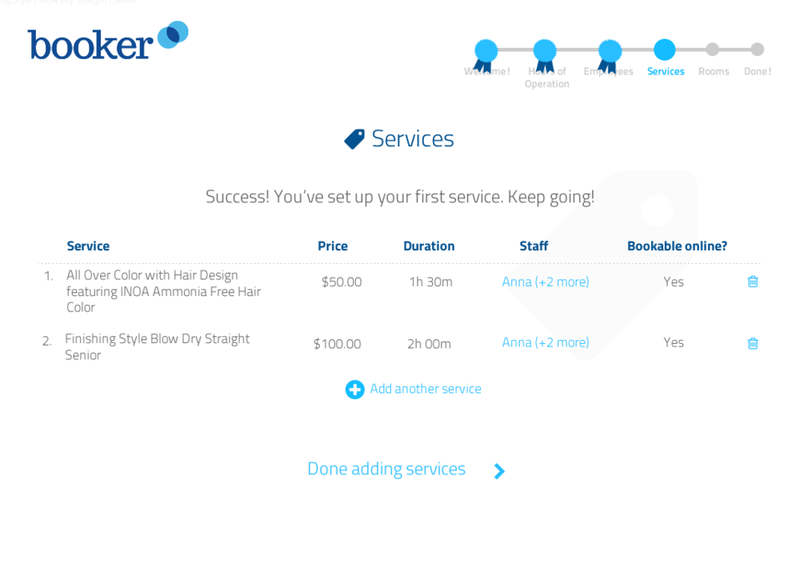 Once that's done, customers land on their site and enter what we call the "customer flow" booking appointments and services. Our job was to design and build a next-generation responsive web platform and really deliver something modern and wonderful on responsive web. I proposed a mobile-first strategy, and those were the first experiences we set to solve. Because of the widely varying types of businesses, it was going to be easy taking on too much at once. So I advised that we take on one particular customer and show that experience, and once we had that working well, we then knew we could take on other types. 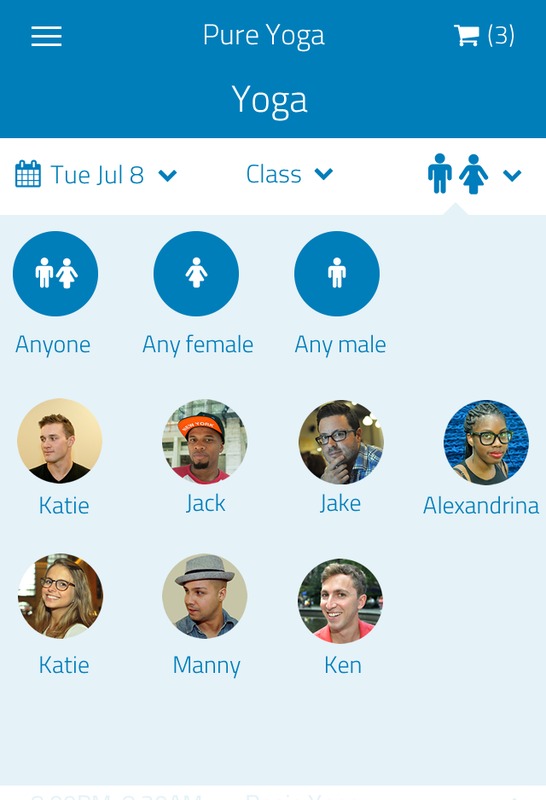 Pure Yoga was one of our customers and that's who we designed for first. We did exhaustive iterations on this (over 64 versions) and user testing before these final screens you see here. Once we had the mobile experience worked out, we expanded to desktop. This experience is very important to get right as well, but with all that beautiful screen real estate was pretty straightforward. With that subtle headline I'll tell you a short story. 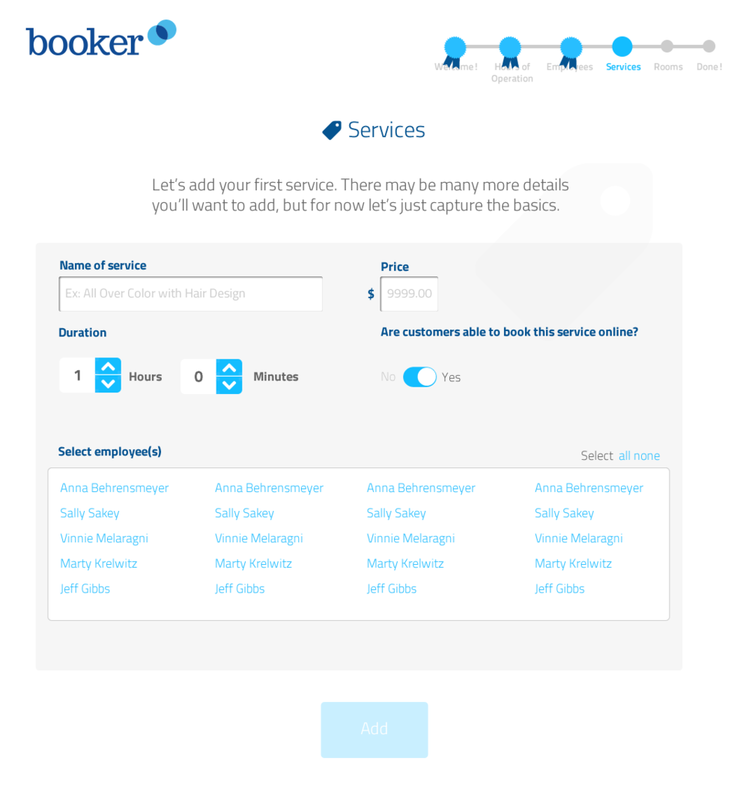 It took up to 6 weeks and several customer service agents to onboard new customers of Booker. The system had grown so bloated and overbearing. It was so confusing, no one could possibly set it up on their own. Now how can a company scale when it takes customers almost 2 months before they can even start using the product? The answer: it can't. And customers were churning before they even had a chance to get started. So Booker CEO Josh McCarter asked me to tackle this problem. No small task. I told him I'd like to build a system that only took customers 15 minutes to setup, and that they could do it themselves. I started interviewing and shadowing customer service reps, some former customers and current customers. The results were bleak. Imagine you need to fly yourself from NYC to Boston and you have to build a plane. You'd build a light jet or efficient twin engine prop aircraft. But instead, someone gives you a 747-400 freighter. Therein lies the problem. The site was just too big. Too many features. Too many settings. 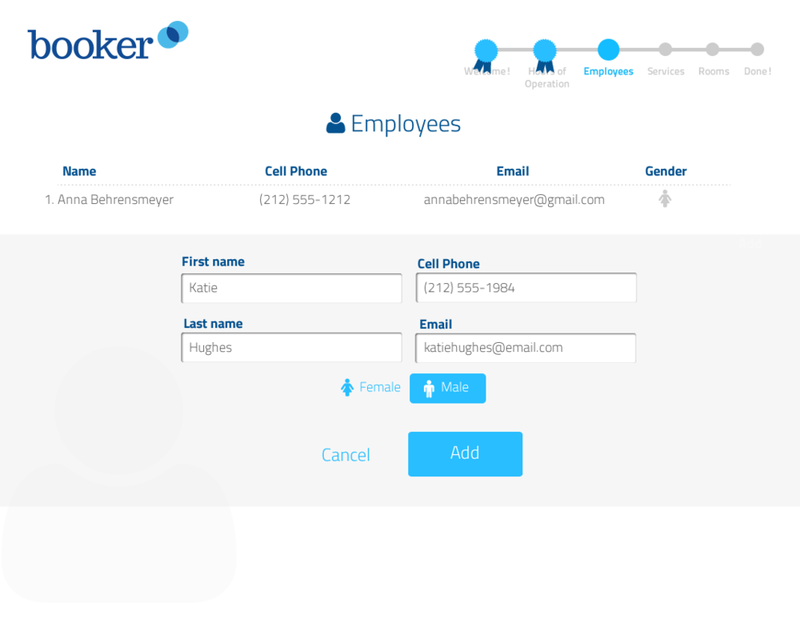 This is what customers saw when they first sign into Booker. Where do you even begin? In order to tackle such a huge project, I needed help. I needed a way to inspire and motivate people to get on board, think different, and be inspired to do something magical. So I made a little demo video. Turns out one of the customer service agents, Emily, was a voiceover artist, and she volunteered to help. I showed it around to people. It got their juices flowing. A newly minted Product Manager named Vincent saw my video. He had come from the customer service department and knew customer pain well. He was highly motivated and knowledgeable. He offered to help us make a new front-end customer experience. We collectively decided there just wasn't anything worth saving in the old system, and started over from scratch. This is rare in tech, but in this case, we had almost no choice. That's it! So armed with those four, we did a lot of digging and research. Within a week or so we were able to start designing screens. It was clear to me that spas, salons, gyms - these are high service and highly personalized experiences. So why not make Booker the same way? I grabbed our lovely office assistant Inessa and setup a photo session: she was going to be the new face of Booker. 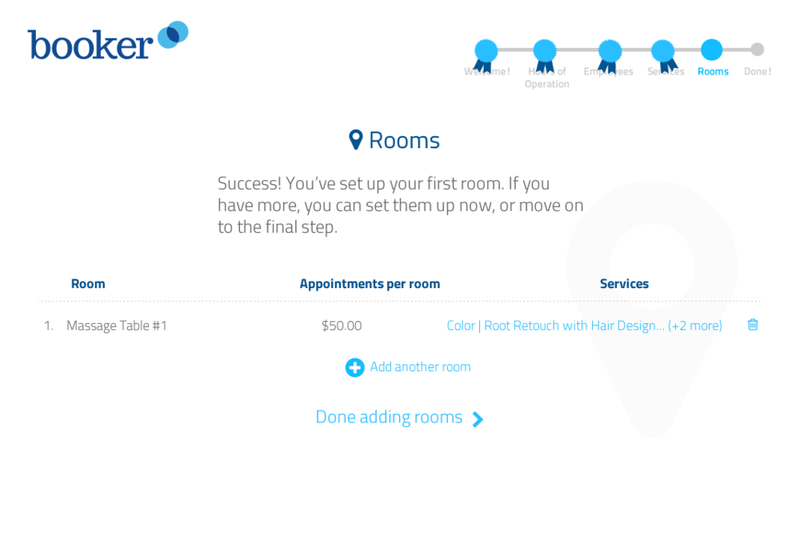 The new onboarding system we developed from scratch was designed, tested, and put through the ringer. We had done it. It now only took customers 10 minutes to get setup, and they could do it all themselves. 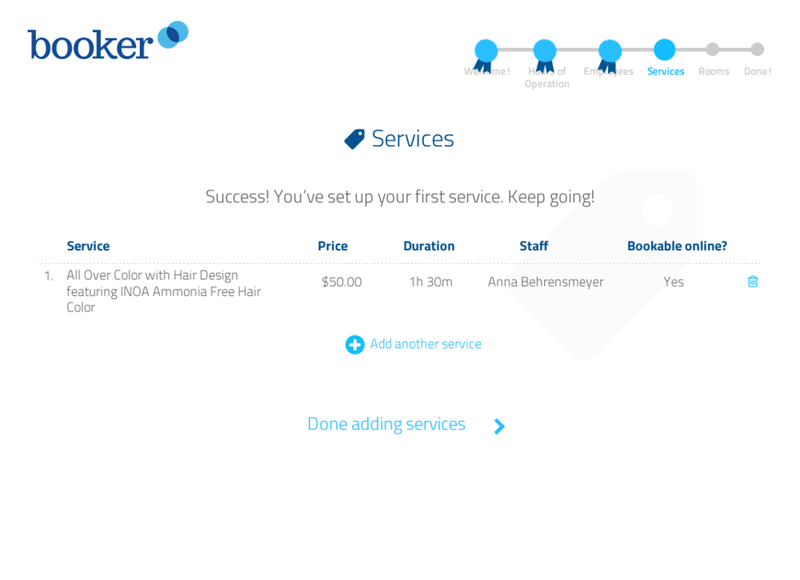 Depending on what type of customer you were (spa, salon, gym, other) we gave you a gorgeous starting image, with only one button. You couldn't do it wrong. 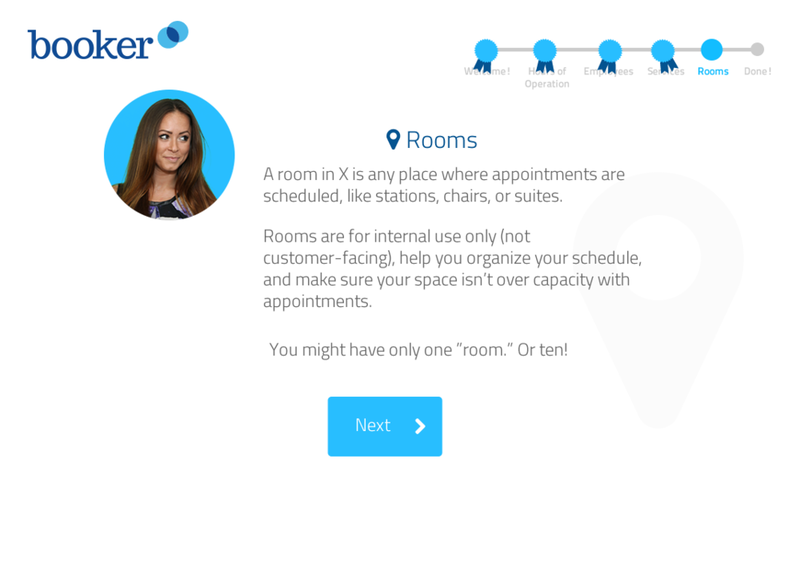 You entered hours, services, employees, and rooms the services were performed in, and you were done. Take a look at the experience. The Product Design team had developed a reputation for getting quality product out and quickly. One of the Booker co-founders approached me about a special project. 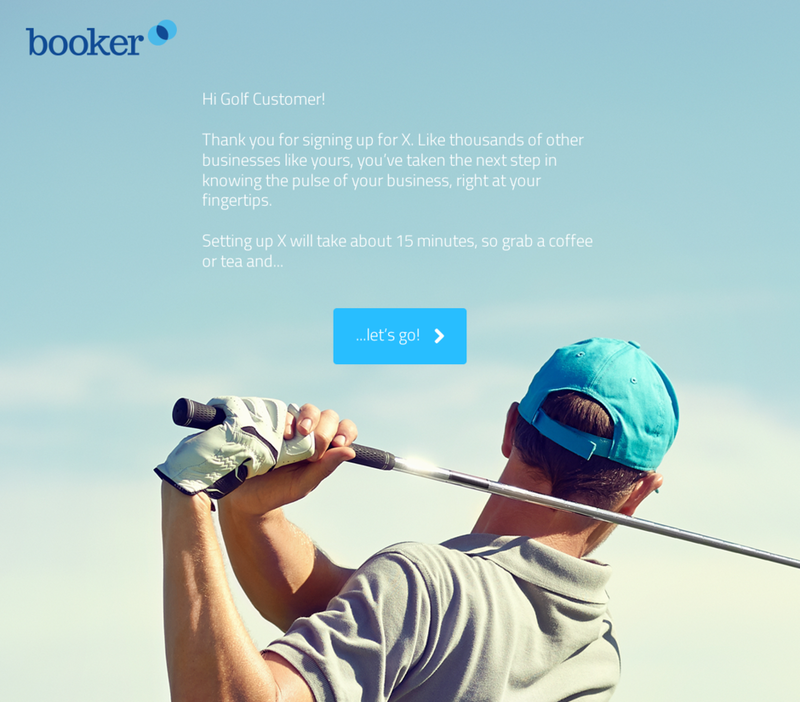 Golf Now was a potential client of Booker, but there wasn't anything we really had that would work directly for them. So I grabbed one of my best designers, Jake, and we got to work. We knew next to nothing about golf scheduling apps. So we signed up for a bunch of them, and looked up the feature sets online. We discovered each and every one were quite dated and used some kind of Excel spreadsheet user experience. We hated that. We also noticed that if they had a native app it was fake. Just a webview running inside an iOS wrapper. How tacky. We focused on the hypothesis that speed was important. Just watch any of these Clubhouse schedulers work during a busy summer. They're slammed. For speed, we went straight for native iOS experience on the Apple iPad. In the short week or so we had to design, test and pitch GolfNow, we accomplished a lot. We had a working, tap-through prototype. Show (but not prototype) how you can set your golf course preferences, tee time delays, sneak (a method to squeeze in golfers) just to show we were thinking of a holistic experience. After the pitch, GolfNow was extremely enthused. They loved our concepts and prototype. We could have easily failed. They could have said "This looks too radical compared to the other products out there." But they didn't. They had vision and they were receptive to bringing something new and fresh to the space. There is potential to disrupt the entire industry.